Lets make a family book! Families come in all types and numbers and as far as I’m concerned there’s only one thing they all should have in common – love! 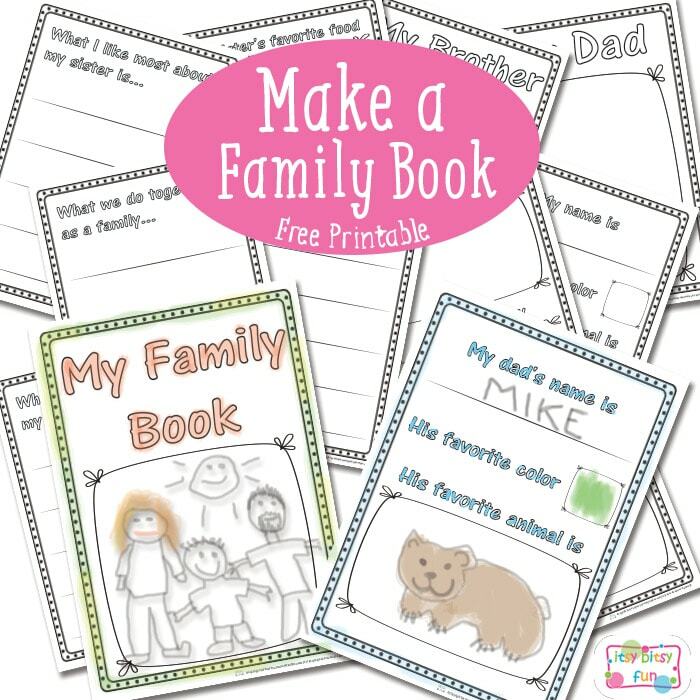 Now let’s celebrate your family by making an adorable family book! This pack has has quite a few pages! And you can mix and match them to get just the family members you need (works for all families!). The “Family and Me” pack asks the kids to draw a picture of the whole family, themeselves, their favorite food, toy, animal, color and write down their name, what they like about themselves and what you do together as a family. Next we have a pack for mom, dad, brother and sister so just print the ones you need! Once you have the whole family “done” you can bind this book (even laminate it) and have it as a keepsake. You could make this activity yearly and keep track of how your family, or better yet how the view of your kid on your family changes over time. 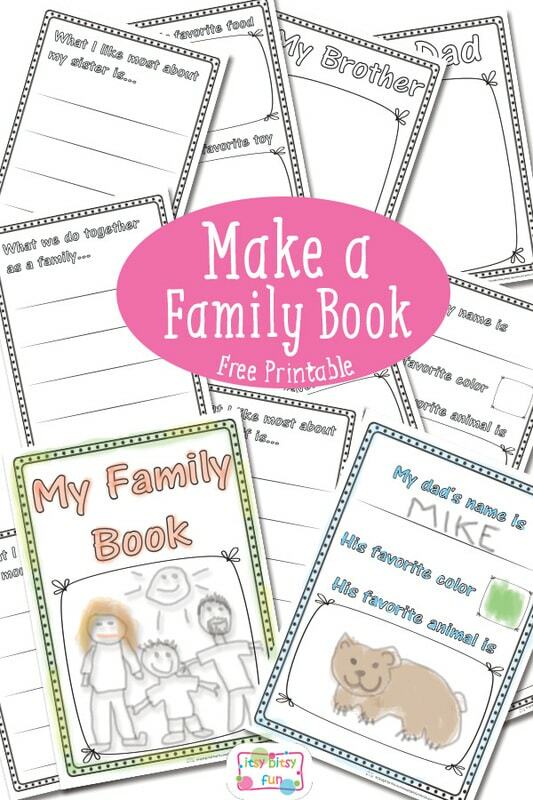 Get your own free printable Family Book Files here. Clicking on a magazine below will open this awesome and free magazine so you can look through all of the amazing projects!